We all know that good habits can help us feel better, succeed at work, and get healthier. Happy marriages tend to have common practices just like thriving companies all do certain things well. There are probably hundreds of little habits that help make our relationships healthy and happy – from putting caps on toothbrushes to saying good morning, but for today, let’s focus on 7 of the biggies. Use these as a check list – if you are doing all of them, great! If not, pick one and start this week. And remember, habits can only be changed one day at a time. 1. Talk about your day. Every day. By creating little moments of connection, you are ensuring the “communication highway” in your relationship is free of roadblocks. Having little conversations every day, makes it much easier to have big conversations when those moments come. Habits are done daily. This one is non-negotiable if you want a healthy, happy relationship. 2. Kiss. Every day. Notice a theme? It’s not “kiss when you go on date” or “kiss when the kids aren’t around,” it’s “Kiss. Every day.” Marriage researcher John Gottman recommends a 6-second kiss every day. 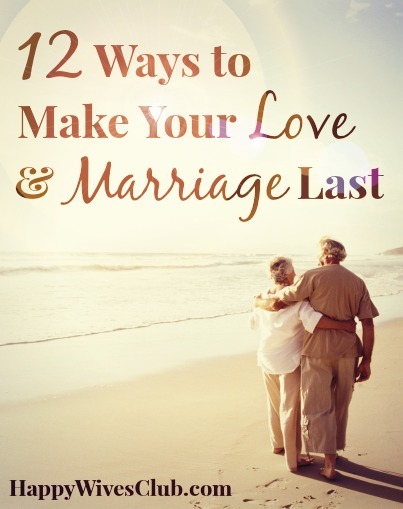 It should be long enough to feel romantic and will be like a love vitamin – nurturing connection and intimacy in your marriage. 3. Defer Decisions until you can talk about them privately. This means, you make an agreement with your spouse not to accept invitations, decline opportunities or give an answer to anyone about almost anything, until you have talked about it and made a decision together. 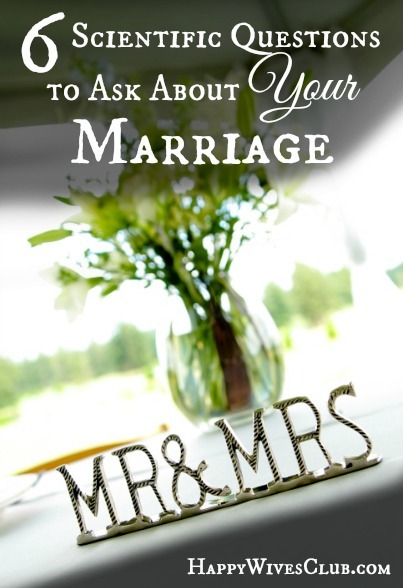 Over the years we’ve been married, my husband and I are now both trained to say, “Let me talk it over with my honey. I will get back to you,” whether it’s an invitation to the movies or a request to volunteer. This is a pro-active way to avoid disagreements, misunderstandings and resentment. 4. 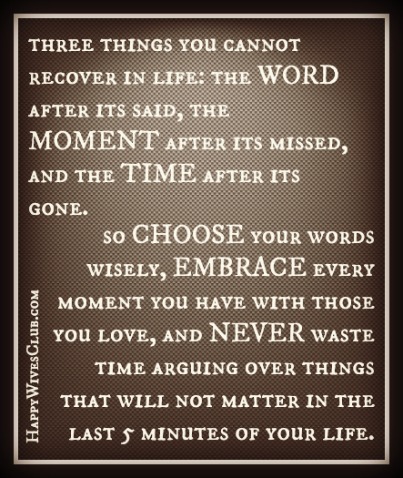 Prioritize. 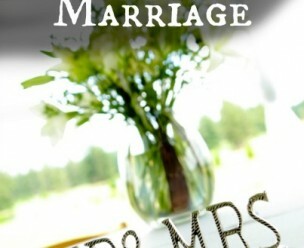 Make it clear to your spouse and to the world that your priority is your marriage. Knowing this makes it easier to make decisions every day. Asking a question like “Will this nurture and develop my relationship or take me away from it?” or “Is this aligned with my priorities?” before you make a decision gives you the opportunity to step back and make sure you are moving in the direction you want to go before you make a commitment that can hurt your relationship. 5. Express Gratitude. Everyday. Expressing gratitude feels good to YOU because you are looking for the positive things to celebrate and acknowledge in every day. It feels good to your HUSBAND because he in turn, feels celebrated and acknowledged. If you are not in the habit of expressing gratitude, start with this step and read Fawn’s fabulous article about how to write a “Husband Gratitude List” here. It really is okay if you never want to go bowling and he never wants to do yoga. I was recently interviewed for a podcast and we spent an hour talking about what to do when you and your spouse aren’t on the same page – the bottom line is that accepting each other’s differences is one of the keys to helping the relationship last, long after your passions for jobs, hobbies or other adventures has passed. 7. Give some Vitamin F2 every day. What is Vitamin F2, you ask? Flirt and Fun. And yes, I just made it up. We usually get instructions to *take* vitamins. How about giving some every day to the love of your life? Think of marriage like a marathon, it’s long, you will get tired, and you need the water of motivation to keep you going. 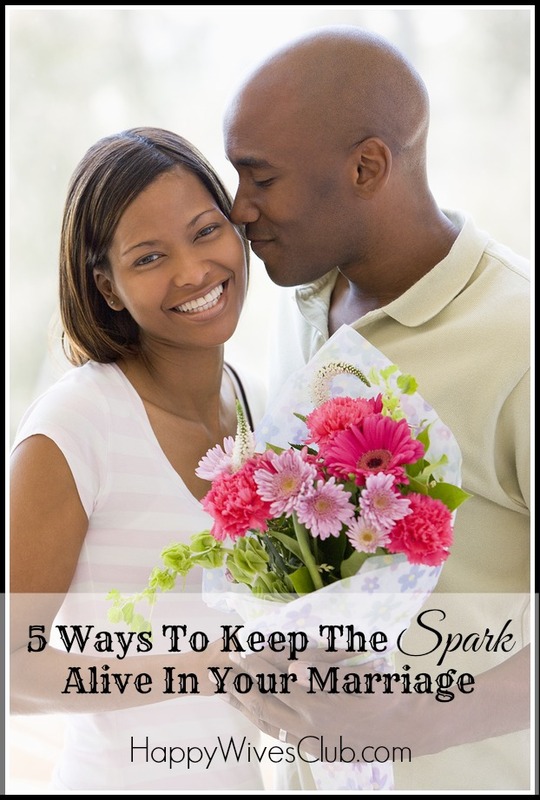 Laughing together and keeping that spark of flirtatious love alive will add a little joy to every day – even the hard ones. These 7 habits will make the hard times easier to manage and fill the good times with so many happy memories that you can lean on those memories and good feelings when the hard times come. Now it’s your turn, what habit would YOU add to this list? This entry was posted in Daily Marriage and tagged 7 habits, happy marriage, tips for happy marriages on February 12, 2015 by Maggie Reyes. Happy Tuesday! 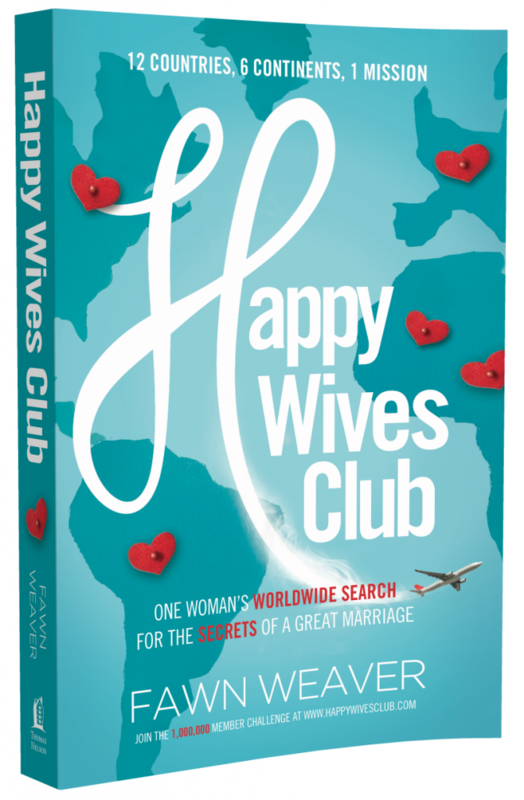 Today, we’re continuing our fabulous, Making Happy, 5-day marriage series based on the book of #1 New York Times® best-selling authors, Drs. Les & Leslie Parrott. I just read the post they sent us for tomorrow and it’s just as good as this one. I sure hope you’re enjoying this series! We had just finished speaking at a camp in the San Juan Islands when a small plane buzzed overhead and landed on a nearby airstrip. A few minutes later the pilot was flying us over the islands of Puget Sound and we were approaching the lights of a local airport. “The most important thing about landing is the attitude of the plane,” said the pilot. “You mean altitude, don’t you?” we asked. Without knowing it, our pilot had given us a perfect analogy for creating happiness in marriage — developing the right attitude in spite of our circumstances. Only 10% of a person’s happiness has to do with their circumstances. We all think we’ll be happier if we get a better job, more money, a nicer home, cool vacations, and all the rest. But that’s not where our happiness is found. The majority of our happiness has little to do with circumstances and far more to do with deciding to be happy in spite of our circumstances. It is no accident that some couples that encounter marital turbulence navigate it successfully while others in similar circumstances are dominated by frustration, disappointment and eventual despair. And it is no accident that some couples are positive and happy while other couples are beaten down and defeated. Researchers who have searched for the difference between the two have come up with all kinds of correlates to marital success. They point to long courtships, having similar backgrounds, supportive families, good communication, and so on. But the bottom line is that happy couples decide to be happy. In spite of whatever life deals them, they make happiness a habit. 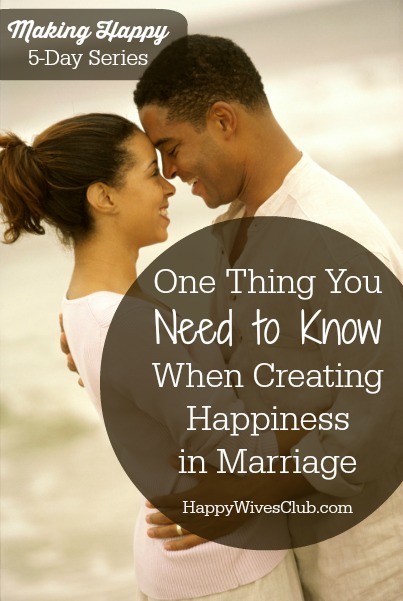 YOUR TURN: How do you make happiness a habit in your marriage? Tell us in the comment section below. This entry was posted in Daily Marriage and tagged happy marriage advice, tips for happy marriages on April 15, 2014 by Drs. Les and Leslie Parrott. Today is my parent’s 40th anniversary. To be more accurate, this milestone was almost theirs until my father succumbed to his battle with prostate cancer last fall. In Las Vegas on Memorial Day 1973, they said ‘I do’ after only four weeks of dating and never looked back. Today is a difficult day for my mom to be sure. It’s also a day when I am reminded of one important (but often ignored) truth. Your spouse is not promised one breath beyond the present moment. Remembering this point is crucial in creating a marriage in which happiness, good communication, friendship, love and encouragement trumps all else. Have you ever gotten so upset with your spouse that you’ve gone to sleep after an argument determined to hold on to your position of being right until the next morning? You may not realize this, but in that action, you made a subconscious decision that your spouse would still be there in the morning to continue the conversation; to acknowledge you were right. But what about those who fall asleep in that state to never have their spouse wake up again? What about the husband who walks out the door in the midst of an argument and never returns – not by his own will but that of his Maker? Rather than spending the remainder of our lives thinking about the wonderful life we created with our spouse, we would likely live out our final days replaying that last conversation. Instead of grieving our lover, we would grieve our last words together; that bitter moment when pride took precedence over love. 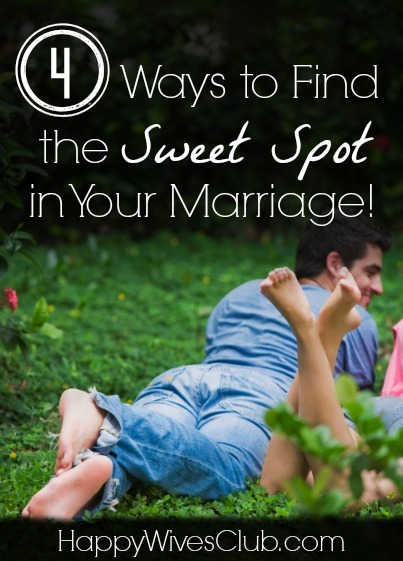 Even those who are happily married, adore their spouse, and have a wonderful relationship sometimes fall into this trap of arguing over the insignificant. But what a better life those live who are reminded of this important point every moment of the day. All of a sudden, nothing is so urgent as to not warrant patience and nothing is so important as to cause a lapse in our gentle approach. Today, in this moment, I challenge you to make a commitment to each other not to fall into that trap. Never argue over things that will not matter in the last five minutes of your life, because after all, you never know when that time will come. When my father passed away, my mother in all her sadness was comforted by the fact that she had no regrets. She loved him to the very end and if she could do it all over again, she’d do it just the same. 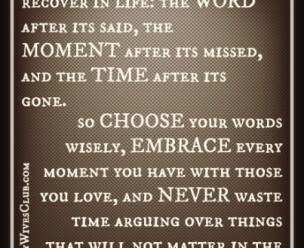 We should all be so wise. We should all be so in love. 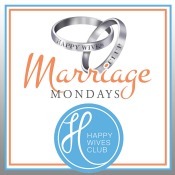 This entry was posted in Daily Marriage and tagged happy wives club link-up, link-up, link-up party, marriage mondays, tips for happy couples, tips for happy marriages on May 27, 2013 by Fawn Weaver.